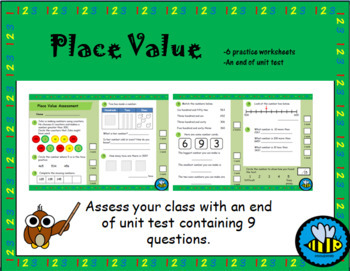 This product is aimed at a Year 3/ Grade 2 class or a high Year 2/ Grade 1 class. 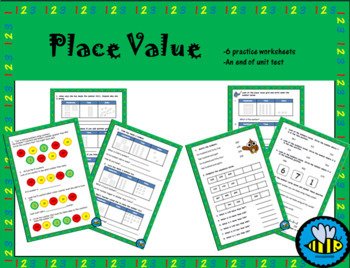 The resources contains 6 worksheets which look at place value, hundreds, tens and ones. 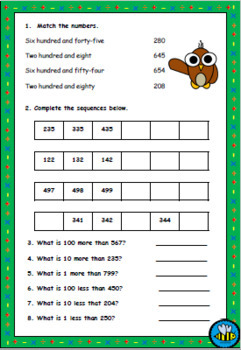 There are a variety of questions to solve, with some reasoning along the way. 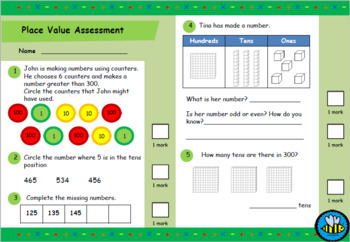 To assess student's understanding of the unit there is a small unit assessment included. The assessment has 9 questions and is marked out of 15.